B Test is a challenging test and requires a high level of riding and stable management. The ridden and theory exams can be taken separately. We recommend 2 years between C+ and B Test to give candidates time to attend training rallies as well as this year at Aston Le Walls Eventing Camp, The Big Elmwood Rally and Senior Camp with the intention of taking the full B Test after GCSEs. In some situations candidates are able to take their theory section the year before GCSEs and the riding section the following year. B Test is in 2 parts, Riding test and Horse and Pony Care, so can be taken separately, even in separate years! Join in with learning with your friends and peer group. So that even if you are at different schools, year groups, competition levels, not coming to camp you can be together. Please give date of C+ test pass and your age, to ease her long hand lists!!! Recommended minimum age for B test is 15, and two years after C+ Test. The B+ Test has recently been introduced and can be taken after B Test. The standard of riding is considerably higher and includes riding in a double bridle. You don’t need to do your B+ Test in order to progress to AH or A Tests. The AH Test covers theory only and regular training sessions are held at Rectory Farm. Members aged 16 and above with C+ or B Test can do a one day course to become a Pony Club Coach. Coaches earn £15 – £20/hr for teaching D and D+ level rallies under supervision. See details of the Coaching Course at the bottom of this page and a list of our Coaches is on the Instructors page. • Pony Club Members who are 16 yrs or older and hold C+/B tests and are enthusiastic to teach at D/D+ level. What is the course aim? 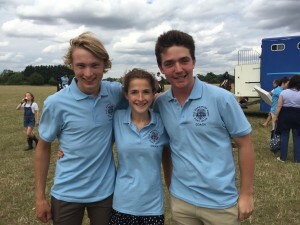 • To help and encourage aspiring Pony Club senior Members to utilise the knowledge they have gained from past Pony Club experience and enable them to start to coach others in a safe, effective and confident way. • To support and encourage past Members / supporters / instructors and Members to use their enthusiasm, knowledge and experience to start to coach others in a confident, fun safe and effective way. This course develops participants through discussion, group work and most importantly, activity. All participants will have the opportunity to teach. The emphasis is on drawing together the wide range of experiences that tutors and participants bring and making those experiences available to everyone. The atmosphere is fun, friendly, welcoming and supportive. Approx. £30 (depending on hire of facility costs) to include tea and coffee. Participants need to bring a packed lunch / Pony Club Manual / notebook and pen. You will be given a complimentary copy of the Coaches’ Handbook (£18 from HQ). The Pony Club website under ‘Training‘. Current OBHPC members participating in the program. 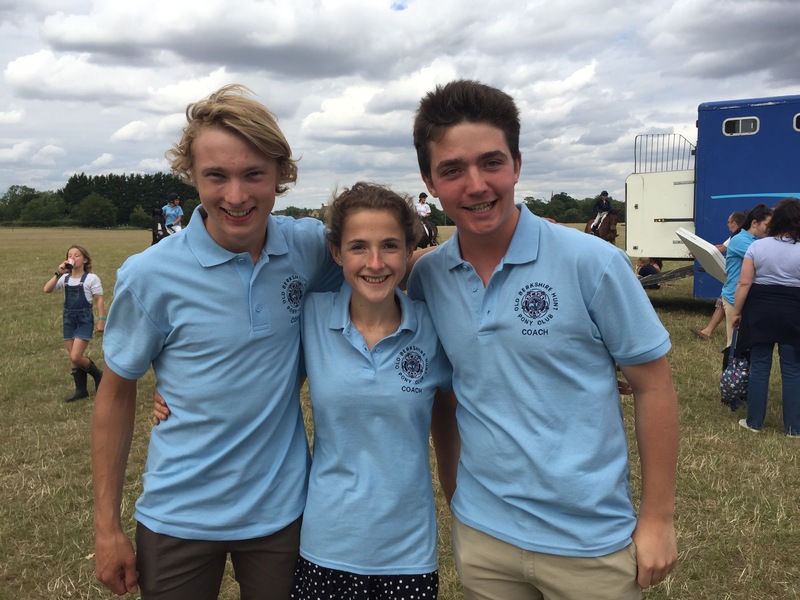 The following members have completed their Part 1 and can assist with Pony Club coaching in Branches and Centres under supervision and with a mentor. Those marked in bold have completed parts 2 and 3 and can teach at rallies un-supervised. What to wear for what! The Old Berkshire Hunt is a Branch or Area of The Pony Club.